This book is confusing for me to review/rate. Overall, I liked this book. If I think about the book in terms of individual letters, though, I feel less certain about whether or not I liked it as much. I enjoy stories that are told in the form of letters. I especially liked that the letters are addressed to people that I am familiar with. However, the included details about the letter recipients, solely for the sake of the reader, kind of threw the story off. It felt strange to read the letter discussing the recipient's life and then transition into what was going on in Laurel's life. It didn't flow well for me. 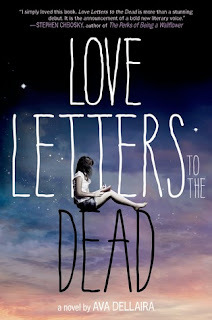 The book is about dealing with loss, moving on, and becoming your own person after losing someone you're close to. I enjoyed the way the story unfolded, over time and in a realistic way. However, there were times where I just wanted to know what happened already! Laurel's grief over her sister's death is palpable. It rang true in her letters. I think her transition throughout the book was done well. It's hard dealing with life sometimes and this is especially so when dealing with such a great loss. 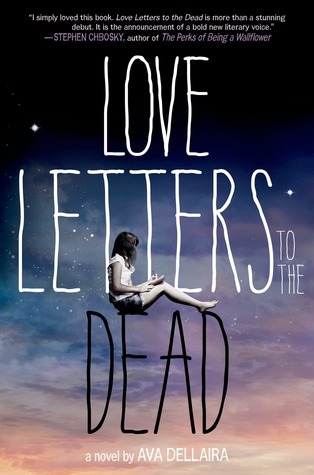 Love Letters to the Dead is a unique coming-of-age story. It will work for some, but fail for others.